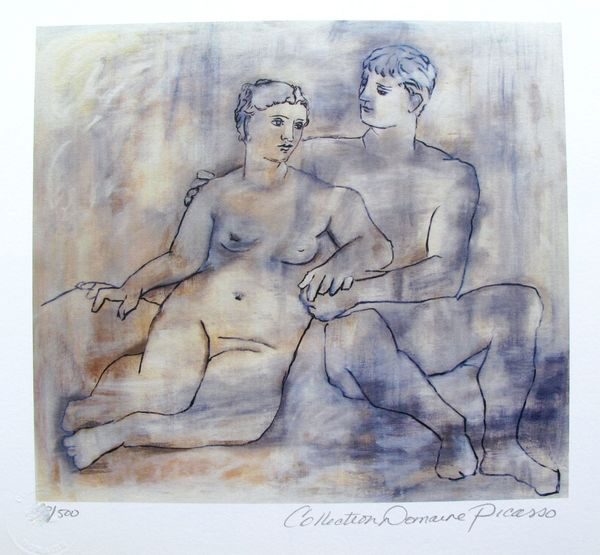 This is a PABLO PICASSO (ESTATE COLLECTION DOMAINE) (1881-1973) small giclee titled "LOVERS". Pencil numbered from an edition of 500. Paper measures 11.5" x 12". 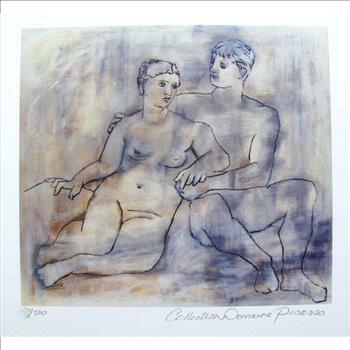 Image measures 9" x 10".